Maybe your large parking lots seem like a no man’s land to the people who use them. Perhaps you have a parking area where people feel unsafe walking to their cars at night if lighting is not optimal. Or you operate a car dealership and have multiple lots that require constant vigilance. With a security guard in place around the clock and regular patrolling of the lots, you create a more secure environment. There is a big difference between a security guard and a bouncer. Whether bar, restaurant, or otherwise, if your establishment serves alcohol you’ve experienced your fair share of problems. Your liability is minimized when you have security on the premises. The simple presence of a uniformed and armed guard acts as a deterrent and, should a situation arise, the guard can put a stop to it before things escalate. From office buildings to apartment high-rises to dormitories, any building that has high traffic all times of the day and night should be staffed with guards to monitor who’s coming and going. Front desk security guards can check people in and out, confirm residents or employees, hold onto IDs until the visit is complete, and give out names tags to visitors. You send a signal that you’re enforcing public safety with an active security guard in place, and you make your guarded location less of a target for criminals. Maybe you operate a construction site in a remote location. You may be located in a rough neighborhood. “High-crime” doesn’t mean the presence of thieves is excessive, but it does mean your facility has a greater likelihood of being breached based on its location and frequency of use. Places that look abandoned are more likely to be marked by troublemakers, squatters, or otherwise. A security guard keeps the unwanted away. If it seems like your business is plagued by retail theft, there are two problems – your operating procedures are lacking, and you don’t have a security guard on-site to discourage would-be thieves. Not only does a security guard keep an eye on customers, they can watch employees too. Retailers lose millions of dollars annually from theft – adding a security guard is a proactive and smart way to protect your business and bottom line. Are You Ready to Boost Safety with a Korner Security Guard? Whether a small or large business, you are not exempt from criminal activity, theft, or other threats. Prevent loss and send a message of safety by having a Korner Security guard on site. 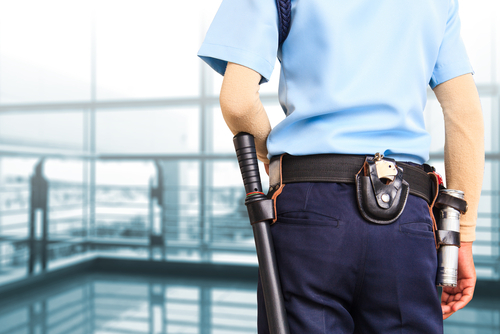 Call us today to discuss a customized security plan for your business.